Once a year, at the beginning of June, the Bulgarian Rose Festival takes place to celebrate the annual harvest of flowers from the fertile Valley of Roses. Spanning more than 130 km alongside the Balkan mountain range, the region includes fields of Karlovo and Kazanlak fields, as well as some around Nova Zagora. Each year, thousands of tonnes of roses are harvested and used as both culinary and cosmetic ingredients. 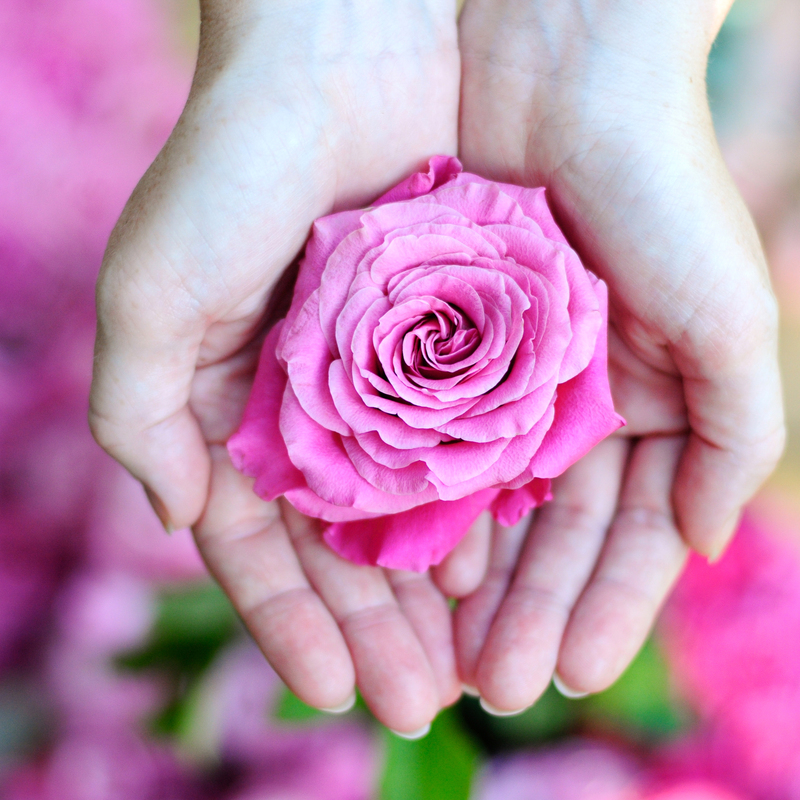 Worth its weight in gold, a kilo of rose oil requires 3.5 tonnes of rose petals to produce. Rose bushes flower for only twenty five days a year, from mid-May to June, and flowers are handpicked early in the morning as this is when their fragrance is most potent. From there, they are immediately brought fresh to distilleries in the area for processing into the fragrant products we find on our bathroom countertops. All of LMB’s rose ingredients are sourced from Bulgaria’s Rose Valley, and last June we travelled to the Kazanlak fields to experience the annual celebrations in full swing. After winding down a dirt track framed by tall leafy trees that cast a dappled shade, we emerged onto open fields. In front of us for miles we could see low rolling hills speckled with the bright pink of thousands of roses. The sweet smell of roses was thick in the air, and the sound of drums, bagpipes, and traditional Bulgarian singing became louder as we neared dancing men and women in traditional dress. To celebrate the year’s rose harvest, girls carried baskets full of bright petals and threw them over the crowd, with flowers woven into their hair. Later on there were also parades through the surrounding towns, with men dressed in traditional koukeri usually worn to mark the beginning of spring, and each year one girl from the graduating class is crowned ‘Rose Queen’. At the edge of the field is the local distillery, where we saw the LMB rose water produced on location. Inside, flowers were poured into big silver vats and the smell of roses was even more overpowering. We feel so lucky to have been able to witness the production of our rose water from start to finish and be part of an amazing tradition that takes place every year.